A PIANO TEACHER WHO PLAYS ALL TYPES OF MUSIC AND CAN TEACH YOU TO PLAY ALL STYLES AND BY EAR!! NO SCALES - (yeah!) PIANO STUDENTS OF MELISSA'S APPRECIATE THE FAST PACE OF THE LESSONS AND THE FACT THAT AFTER USING THE BOOKS FOR A WHILE - SHE HAS THEM PLAYING THEIR FAVORITE SONGS THAT THEY ARE SINGING IN THE LESSONS - BY EAR TOO! (Oh - AND NO SCALES!) Nice!! AND - Only 40 dollars for lessons! WOW! AND - you will be playing on my state of the art YAMAHA CLAVINOVA DIGITAL PIANO! The following are the books i use in here - i buy they "used" on amazon under "Books". (We then move to the Primer level once these books are completed.) and then to the other higher levels if the student wishes. NOTE - I normally don't do piano lessons only. 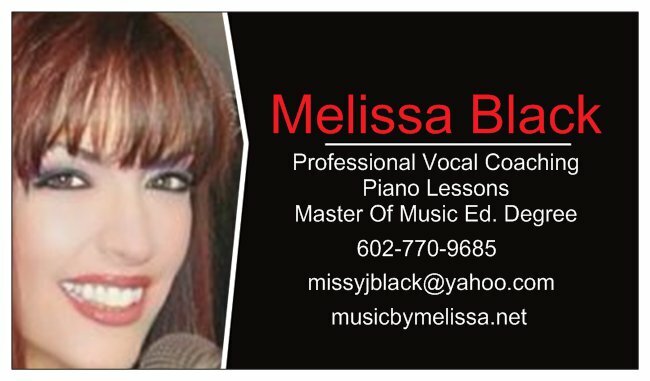 In this studio - i coach piano/voice combo lessons. But sometimes i do make exceptions! (especially if you want to play by ear or read chord charts - fun!!) So important to be able to do more than one thing - have more than one talent and to perfect all of your talents! You all will love it in here - you get to pick all of your own music to sing - and no one knows better than me all of todays hits as well as the classics AND how to play them in your key by ear! !